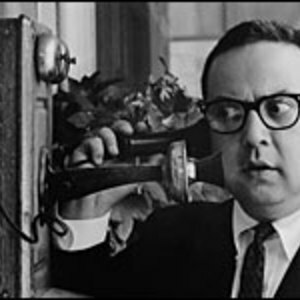 Allan Sherman was a pioneer of the comedy-rock scene. Although not much to look at, the overweight, balding, short, Jewish man gained popularity and became quite the star because of his witty infusion of satirical comedy into very well orchestrated renditions of classic tunes and songs. A song would usually have a lyric, perhaps a name or phrase, that has very little to do with what the original song was about, but the words would sound similar. His albums had nothing to hide, either, as each one was recorded live, and all the laughter, and occasionally a lack thereof, could be heard. Sherman was just a television producer, most famous for the quiz show "I've Got a Secret," not at all known as a comedian or performer, and it shocked everyone in the know when songs from his album My Son, The Folk Singer became popular. In fact, president John F. Kennedy was heard singing the song Sarah Jackman. Sherman's overnight popularity suddenly ended when the nation's attention focused on Kennedy's assassination, and the nation was too sad for such up-beat musical offerings. Sherman then slipped back into his longtime depression, and died, quietly, at the young age of 48.